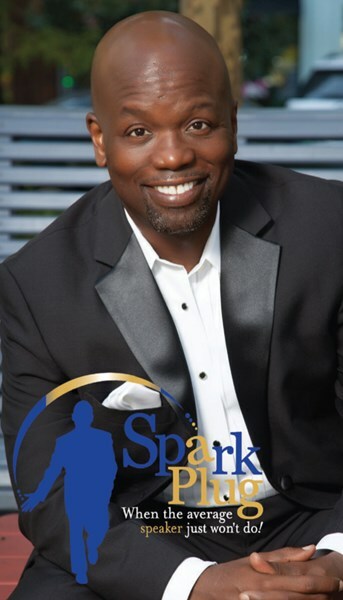 Why book Anthony "Spark Plug" Thomas, to speak for your group? Because he's energizing meetings across America by encouraging people to believe in the impossible! Some are curious to know, why would ACDelco, a multi-billion-dollar company, owned by GM, partner with a man whose mother made just $5,000 per year when he was eight-years-old and crown him as their human spark plug? Answer. That man's incredible and magnetic energy! With the odds firmly stacked against him... no father figure in the home, only one pair of socks in the 1st grade, being raised by a single parent who received no child suppport payments from his father. Anthony "Spark Plug" Thomas, was determined to SUCCEED in spite of the odds facing him. He instinctively knew, "circumstances do not make the man, they reveal him, to himself." And he was revealed as a person, who encouraged people, to believe in the impossible. Hold on to your seats, and get ready to find out why, nationally known, motivational speaker, Anthony "Spark Plug" Thomas, is energizing meetings across America! He has the, enthusiasm and passion that are guaranteed to inspire your team, any time and anywhere to WIN. Born to inspire, Spark Plug is ... EXCITING, ENTERTAINING, and UNFORGETTABLE. "Spark Plug, thank you so much for your energetic and enlightening session"
"Spark Plug was wonderful and uplifting,"
"Spark Plug held my attention with every word with his enthusiasm." "Spark Plug is one of the most refreshing and practical motivational speakers I have witnessed in a very long time." Spark Plug has been gifted with a powerful and harmonious voice, which moves listeners toward action. And from his vast experiences as a world traveler to amazing places such as Bermuda, Canada, Cuba, Mexico, the Caribbean, Egypt, France, Italy, Spain, England, Germany, the Netherlands, Dubai, the Far East and more, fuels his ability to connect with all people. His upbeat, and fun presentation style with fresh and insightful content is sure to boost morale and wow any audience at your event. Spark Plug gets rave reviews from clients and thunderous standing ovations. Book him now, while you can! If you're searching for a dynamic and unforgettable keynote speaker to kickoff or close your event on a positive note, we are confident that Spark Plug is the speaker for your group. He's an entrepreneur, a celebrated and award-winning publisher of the world's premier business guide showcasing women business owners, certified etiquette consultant, author, former adjunct professor, U.S. Navy veteran and Goodwill Ambassador, women's rights supporter, humanitarian, volunteer tennis coach/former collegiate tennis player, snow skier and more. For more than 20 years, Anthony "Spark Plug" Thomas has been wowing crowds and inspiring audiences across the nation. He is a distinguished graduate of Mercer University and the prestigious Duke Leadership Program. Spark Plug is the perfect high-energy and entertaining keynote/speaker for your group. His main topic is the "Everything is Possible" mindset. He believes "the impossible" is just the starting point! With years of in-depth knowledge and experience, Spark Plug can speak passionately about leadership, sales, diversity, etiquette, advertising, branding, marketing, teamwork and more. As a CHAMPION for women in business, he can speak confidently about women's empowerment. Spark Plug says, "I love to inspire, encourage and give hope to people because as Ralph Waldo Emerson once said, 'Our chief want is someone who will inspire us to be, what we know we can be.''" Spark Plug's energy and enthusiasm are so magnetic, you can feel it! ACDelco, one of the world's largest makers of spark plugs even crowned him as "The Human Spark Plug" and featured him on their website, hired him to speak to their sales force, sponsored his uplifting and encouraging program for high school students around the nation, booked him to make celebrity appearances and supplied him with 18,000 pounds of ACDelco merchandise to distribute to his audience members. As a result of this partnership, his celebrity status grew. 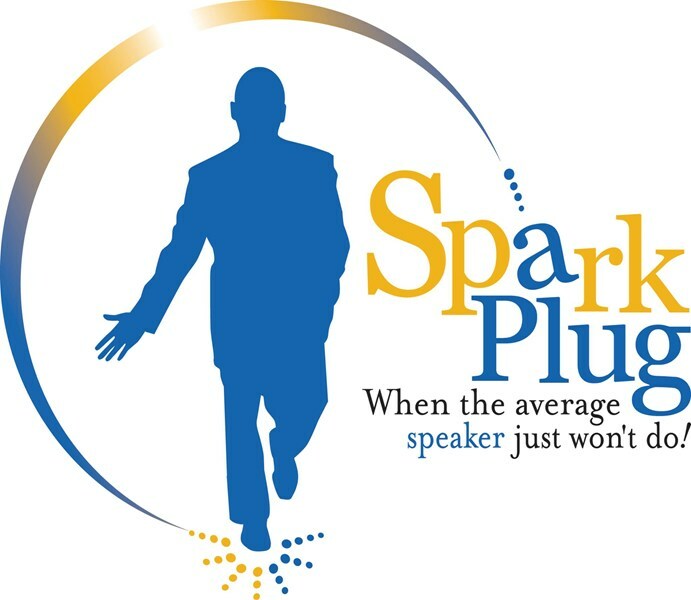 Spark Plug would love to speak for your sales group, leadership group, women's group, students or employees. Everybody needs a spark plug -- from ages 10 to 99, from Fortune 500 companies to governmental agencies, and from the stockroom to the boardroom. His presentations are customized and tailored just for your group. GM, ACDelco, Sheraton Hotels, Georgia Department of Labor, Southern Company, Georgia Power, US Postal Service, Atlanta Public Schools, US Forestry Service, Georgia Bankers Association, American Public Transportation Association, USDA, AT&T, Federal Highway Administration, Atlanta Housing Authority, Florida Housing Authority, Mercer University, ADP, Chick-fil-A, Illinois Department of Human Services and many more. Please note Spark Plug! Motivational Speaker will also travel to East Point, Lawrenceville, Lilburn, Mansfield, Norcross, Thomasville, Decatur, Hampton, Mc Donough, Howard, Red Oak, Morrow, Stone Mountain, Tucker, Redan, Stockbridge, Clarkdale, Jonesboro, Rex, Locust Grove, Marietta, Ellenwood, Inman, Riverdale, Fayetteville, Forest Park, Griffin, Lovejoy, Conley, Jenkinsburg.